Yesterday was probably one of THE most epic days of my life. I got to meet Ben Baller! In case you didn't know I was a little G for a time back in the day (ha-ha) so meeting one of the best DJs, record executives, celebrity jewelry designers not to mention college baller and most popular sneakerhead in the world was sort of a really big deal for me. I am not easily starstruck but having my photo taken with him totally knocked my socks off. This guy is amazing. He has his foot in almost everything + he's worked with some of the best rap artists around. Hello, Jay-Z, Dr. Dre??? sick. He's also the designer behind this cross necklace that has gotten so popular especially as a component to "arm parties" that it has spawned millions of knock-offs worldwide. 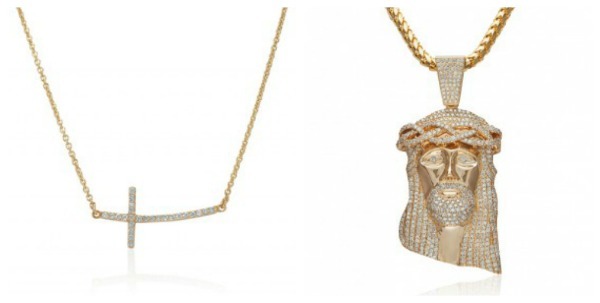 Pretty, but if you want something that screams Ben Baller designs, his Jesus Piece is what should make you whip out the big ones. Not enough dough for the iced out version? Get it in silver or pick up a print of it on a t shirt or iphone case from his latest collaboration with Illest. From ballers and bling to Crooks and Castles, Illest, GPPR, BOTB, and Hellz Bellz founding fathers representing for Trilogy's return to the hood and back to where it all started, Makati. Fronting the event were two of the "illest" customized cars I have ever seen. A pick up and hummer decked out in camo. Mood music was provided by DJ Skratchmark of Wave 89.1. It was so street I half expected them to be serving sizzurp and crunk juice. Instead we got cupcakes, burgers and mojitos. lol. And that GPPR and Hellz Bellz are backed by a husband and wife team. Ben Baller and Mark Arcenal, the genius behind Illest - my fave next to Huf. 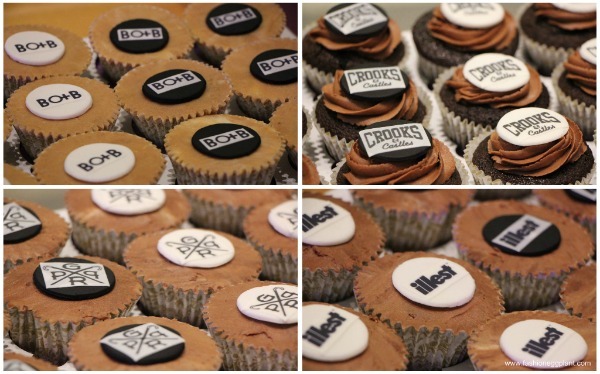 The Crooks and Castles team had some pretty intersesting stories to tell as well, look them up. It was also the global release of the coolest Monopoly collaboration ever. The Crooks and Castles monopoly game where everyday is a hustle (:P). One lucky guy from the audience got to take home the first board ever. Sadly it wasn't me but I also won in a different raffle . My friends say it was well deserved. I must agree! Ri-ri was there too.Just kidding, these are the All-Stars who were also there to provide some entertainment before Baby Bash took the stage. Had to run to a different event by this time so we missed that but over all Trilogy's Back In The Hood was epic and will probably be talked about for months.